She has over 10 years of experience of satisfied patients in his field. She has been awarded Gold medal in Pharmacology and Oral presentation award in 1st Indian cancer congress. 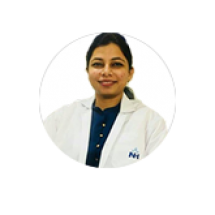 Her Publications includes- Prognostic factors and adjuvant treatment in periampullary carcinoma – accepted in Journal of Gastrointestinal cancer, Carcinoma gall bladder with cardiac metastasis presenting as liver abscess: an unusual case has been accepted for publication in volume 39 no. 3 (July - September 2018) of the Tropical Gastroenterology.